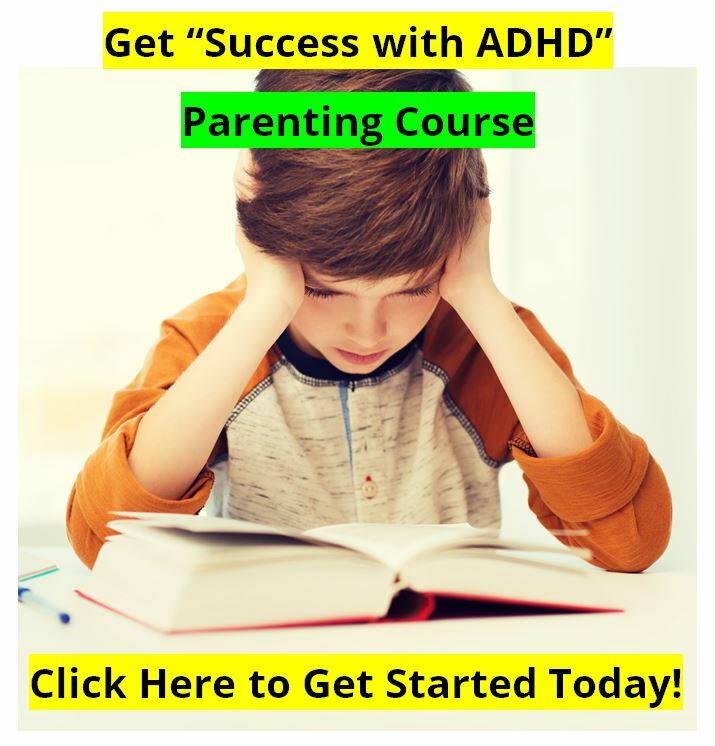 Neurofeedback for ADHD : Is EEG Biofeedback Treatment Effective for ADHD ? A recent press release from the National Institute of Mental Health (NIMH) on ADHD and Neurofeedback surprised me. NIMH is funding two research projects on what they term novel and innovative approaches to treating children who have Attention Deficit Hyperactivity Disorder (ADHD), and one of these studies will be focused on EEG Biofeedback (neurofeedback) training. Attention Deficit Hyperactivity Disorder is a childhood disorder linked with attention problems, impulsivity, and hyperactivity. It is a genetic condition that affects an estimated five percent of U.S. children, although some studies suggest as many as just under nine percent of children are affected. Current diagnostic criteria include the presence of impairing symptoms by age 7, although children may not actually be diagnosed until later, most commonly in the third grade. While the symptoms of hyperactivity generally decrease with age as the brain matures, other symptoms tend to persist, and it is not uncommon for ADHD-associated impairments to continue through the teenage years and into adulthood. L.Eugene Arnold, M.D., and Nicholas Lofthouse, Ph.D., of The Ohio State University, will lead the study on the use of Neurofeedback, which is also known as EEG biofeedback. Neurofeedback training is an alternative treatment sometimes used to treat ADHD, and other conditions. We offered Neurofeedback training to our patients for a number of years at our practice, and were impressed with how effective it could be with children as young as six or seven years old. The biggest drawback that we saw with EEG biofeedback training was that it took at least twenty session, and often up to forty sessions to make a significant and lasting difference, and that these sessions could be expensive to the family. The way that eeg biofeedback training works is that the subject is given information about how his or her brain is working at the moment, and the subject uses that information to learn to change and control his own brain waves. The information is often provided in the form of a video game, so that the training is more interesting. The player becomes successful at playing the game by changing his brainwave frequencies to be more optimal for his particular condition. A person with ADHD will be trained to produce more brain waves in the higher frequencies that are associated with focus, and to produce less of the slow brain waves associated with day-dreaming, or even sleep. We have seen the technology successfully used for ADHD, sleep disorders, alcoholism, and anxiety disorders. We have also used the technology with athletes for peak performance training and greater situational awareness. Studies by Lubar and others have shown the potential value of this treatment, but the medical community, often backed by pharmaceutical dollars, never really bought into it. The medical community typically replied with the demand for double-blind studies, as one would do with pills. But there are many things that do not need to be studied with double-blind studies. Take for example a study on the effectiveness of weight lifting to increase strength. Would such a study be done with a double-blind protocol? No, of course not. You cannot trick a person into thinking they are lifting weights hard when they are not. Another example would be the relationship between reading and learning. If one were to study the question of whether or not reading can increase learning, the researcher would not be able to look at the effectiveness of reading by use of a double-blind study design. There are no placebos for books, and the subject would know whether he was reading or not. And EEG biofeedback training is similar. Its effectiveness does not need to be studied through a double-blind protocol, as the control group will quickly know that they are being tricked. The control group becomes unnecessary to the researcher, and unmotivated to participate, very quickly. The pharmaceutical companies know this, and the medical community knows this, but this is the argument that they have used to minimize the potential contribution that EEG Biofeedback training could make in the treatment of ADHD. Unfortunately, or fortunately, a double-blind protocol will be the research design for the Ohio State study. In the upcoming research project, Dr. Arnold and Dr. Lofthouse will randomly assign 36 children ages six to twelve to receive either EEG neurofeedback in the context of computer games or a placebo EEG treatment. The researchers say that during the placebo treatments the participant will experience pre-programmed game effects that are not affected by his or her brain wave activity, but the reality of it is that it will take about three sessions before everyone in the placebo group knows that they are being tricked. People learn quickly when they are controlling what is taking place on the computer, and when they are not, so the control group part of the study will be a waste of time very soon into the project. Further, if the study were to use a CPT test, such as the TOVA, to measure changes in performance, there would be no need for a placebo group as these tests have no placebo effect. These tests are not impacted at all by placebos. People either perform better on the tasks or they do not. But the good news is that by using the double-blind study design, although unnecessary, the study will potentially be published in medical journals where the results will have to be considered by the medical community. Participants in the neurofeedback treatment group also will be randomly assigned to have either two or three sessions of EEG biofeedback training each week to assess if the frequency of treatment makes any difference on the results. All participants will complete forty training sessions. Parent and teacher rating scales will be used as the measure of improved performance, which is too bad as they are highly subjective. We certainly wish L.Eugene Arnold, M.D., and Nicholas Lofthouse, Ph.D., of The Ohio State University all the best of success in this project, and believe that they will contribute a great deal of information to the medical community on the effectiveness of EEG Biofeedback training. If the reader would like to learn more about the effectiveness of Neurofeedback in treating ADHD, consider the study entitled, A Comparison of EEG Biofeedback and Psychostimulants in Treating Attention Deficit/Hyperactivity Disorders, by Thomas P. Rossiter, and Theodore J. La Vaque. It is published in the Journal of Neurotherapy, Summer 1995. Also visit these two websites: the Brian Othmer Foundation at http://brianothmerfoundation.org/scientificarticlehome.html and the EEG Spectrum website at http://eegspectrum.com/Articles/ScientificArticles/ for a more research articles. Finally, Google the keywords: Joel Lubar (he is at the University of Tennessee), Neurofeedback ADHD, or EEG Biofeedback ADHD, for other articles on neurofeedback and adhd. 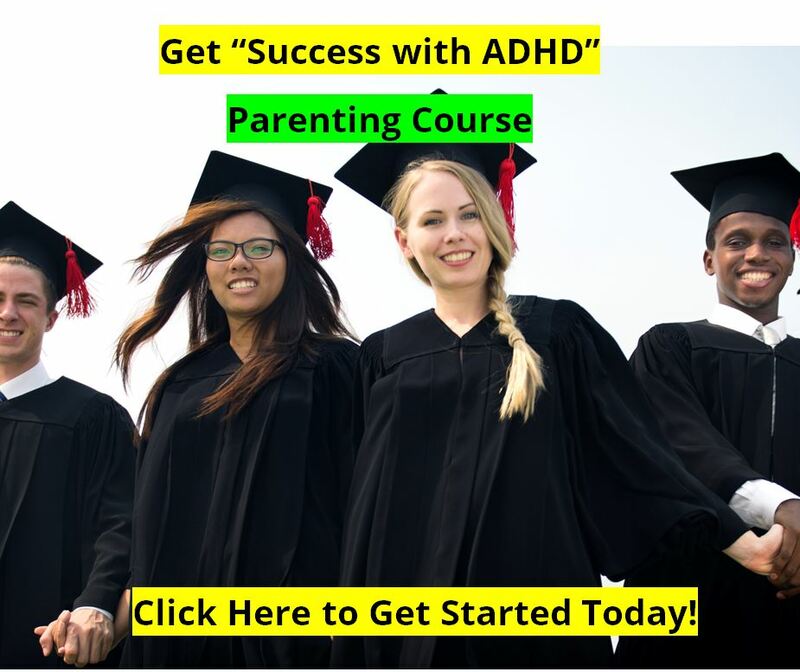 Get quality articles, ADHD news, parenting tips and advice, coupons and special offers by becoming a member of our weekly ADHD newsletter for parents. It's free! 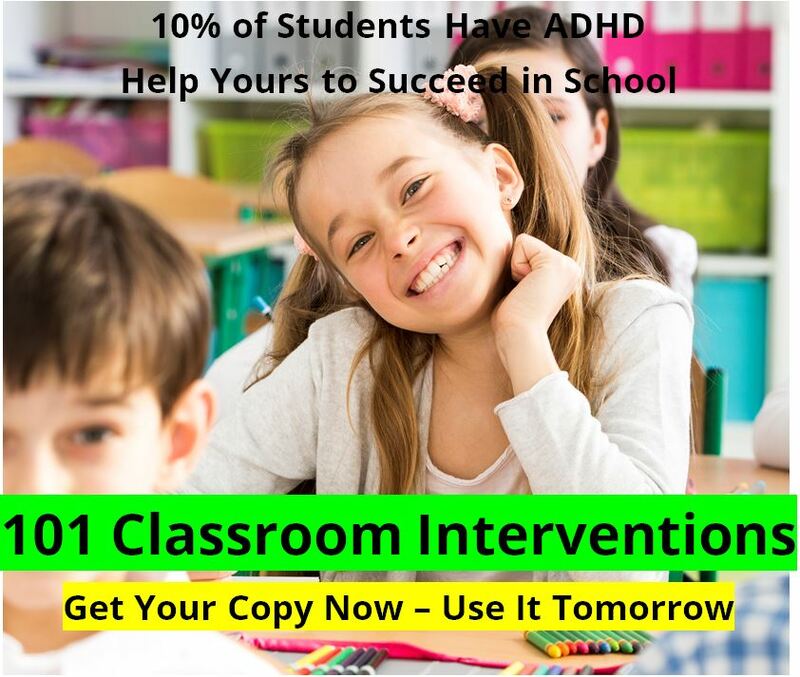 And please tell your friends about the ADHD Information Library at http://newideas.net! The research supported by National Institute of Mental Health Award R34 MH080775 & Award UL1RR025755 from the National Center for Research Resources (OSU Center for Clinical & Translational Science). The research team had free use of SmartBrain NF equip. supplied by CyberLearning Technology, LLC. (Domenic Greco, Ph.D., President). Dr. Greco & Ms. Lindsay Greco trained staff in use of equipment & monitored Tx fidelity. Alan Pope, Ph.D. consulted during study development. I have met the Greco's and Dr. Pope, and all are excellent at what they do. According to the authors, about 1/3 of children w/ ADHD don’t fully benefit from optimal established treatments and an unknown proportion won’t even consider most effective Tx (meds), so we need additional Txs. Goal to decrease theta increase beta via single CZ placement (top dead center over the sensory motor strip - a good "general" placement but not targeted to a subject). 34 subjects, or 87%, finished all 40 tx sessions. Maximum benefit was shown at tx session 24, and was sustained through session 36. They successfully ran a study with a control group getting "sham feedback," which opens the door for a comprehensive "double-blind" study on the effectiveness of neurofeedback training. And while the study was not trying to determine the effectiveness of neurofeedback with ADHD, the results do justify spending the money on such as study. November, 2010 at the Atlanta CHADD Conference the seminar "EEG Neurofeedback for ADHD: Review of the Science..." was well received by all. Everyone is looking forward to a larger study that involves all of the interested parties from design to conclusions. Fall, 2010, through Spring, 2011 sees weekly teleconferencing meetings discussing the goals and research design of such as study. The grant application is developed for a large, multi-site rendomized controlled study of neurofeedback training for ADHD in children and teens. April, 2011 a letter of Intent is sent the NIMH regarding the proposed study.